Okay, I admit, I’ve been holding out on you. I’ve had this video for 6 months now. It was taken in October 2012 when B and M were 22 months old. This was the second time Brooke and Mackenzie made scrambled eggs. Since then, they’ve cracked and scrambled at least 100 eggs each and their skills are at a whole new level. I’m planning on posting a more recent video later on, so you can see the difference. On their 2nd birthday this past December, B, M and I shot a series of videos, highlighting 30+ activities you can do at home with your toddler. One of them is – you guessed it – making eggs! In the DVD, you will get a detailed view of the materials you need, where to buy everywhere, how to present an activity to your child and special considerations for each activity. 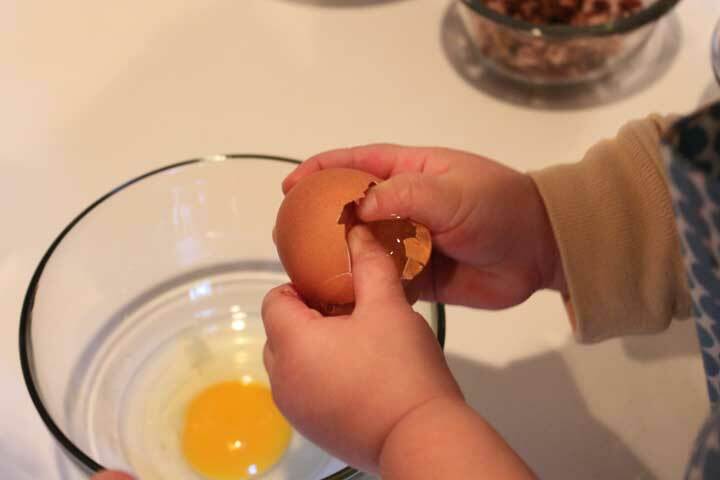 For example, in the video about making eggs, I teach you how to teach your toddler to behave around an electric skillet, which is critical to doing this activity successfully! The DVD is still in production, but will be available shortly. So stay tuned!